Mark Hanson, Marketing Manager at Ultraframe and Chair of the GGF’s Conservatory Association, looks at the orientation and age of the host property to determine if this should be a major factor in the design of a new conservatory. 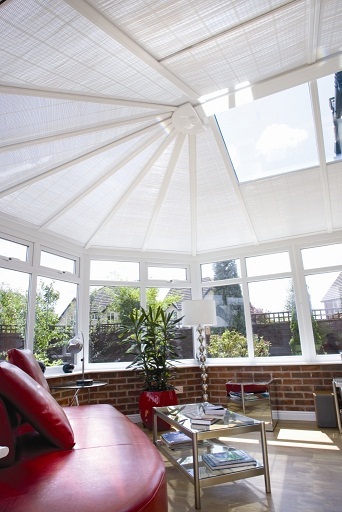 In the last twenty years, the conservatory industry has installed an estimated three million conservatories. This is a huge achievement, certainly in terms of bald numbers – but could we have done a better job? Has there been a temptation to take the money and run, by simply adding the simplest white box? Given that our industry has slowed a little in the last few years, it’s worth pausing for breath to determine if we could do things better and also to consider the sizable refurbishment opportunity that is now presenting itself. A good few years ago the Glass and Glazing Federation (GGF) – partly to understand the issues better and partly to prove something to government at the time – funded a report with the industry to look at issues like orientation and the age of the property, to determine if through simple changes in design a better overall consumer experience could be delivered. Ultraframe jointly funded the research with a number of industry partners. 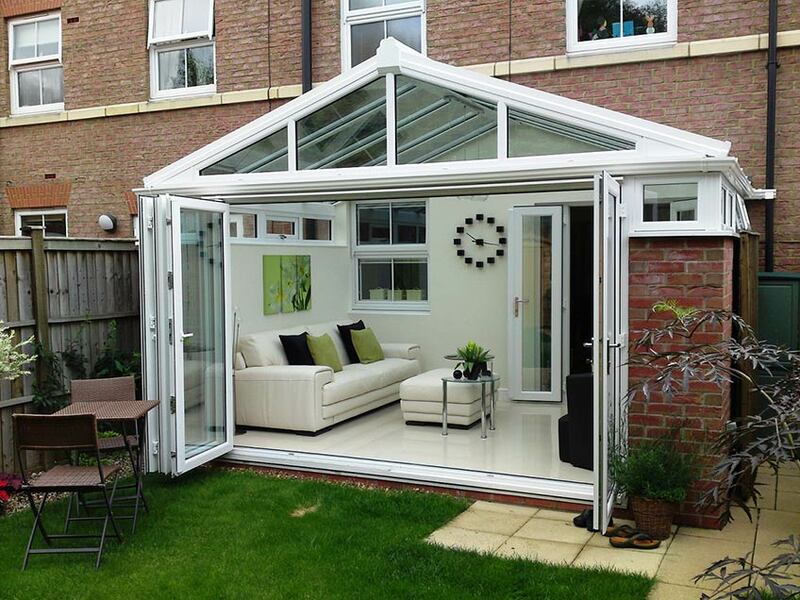 Two of the more interesting facts to emerge from the research report were as follows – firstly, the age of the property to which the conservatory is being added is critical in determining the specification of the glazing and secondly, the actual style of the conservatory which is sold to the consumer can have a huge impact on the energy consumption of the dwelling. Houses built around the 1900’s typically don’t have cavity walls, and so the thermal performance of the masonry will be quite poor. By fitting a lean to conservatory across the whole width of the reverse elevation of this type of property it can make a net energy saving, as heating costs are lower due to the buffering effect of the conservatory. Clearly this effect is higher or lower depending whether the 1900’s house is North or South facing. The requirement to add a full width lean to - at least from an energy perspective – is reduced when it comes to a newer house, once built to Building regulations in the last 5-10 years, as the energy performance of the masonry is very good. Other factors come into play too – like the correct choice of glazing material. Again take the property built around 1900 – if this property is North facing, it would benefit by not being fitted by solar control glass, so that in winter there is the most benefit from solar heat gain, which further enhances the buffering effect. The fitment of Ultraframe’s Classic Plus roof and Shades – sliding versions in the rectangular panels of a full width lean to – would complement the performance of the glass, with the sliding Shades left open in winter to optimise solar gain from the weak sun and then in summer the Shades are lowered to maintain an even atmosphere. Retailers can gain a significant marketing edge by understanding the issues raised above and portraying themselves as the conservatory expert. Having the ability to plan, design and specify these kind of features significantly improves the overall ambience of the conservatory, giving the consumer the ultimate ‘lifestyle room’. Through the launch of products such as Classic Plus and Shades, Orangery roof packages and the Veranda award winning concept, the company recognises the trend to ‘cross-over’ conservatories, which give consumers even more benefits. Moreover, on a warm day - by using large in line sliders or bi-folds and of course Ultraframe’s Super Duty Eaves Beam which allows longer spans without deflection – the consumer has a much bigger space to enjoy, perfect for family enjoyment. In conclusion then, some of the products recently introduced are really starting to change the consumers perceptions of ‘conservatories’ – by demonstrating to the homeowner that the retailers salesperson also knows and understands issues such as orientation and the impact the age of the host dwelling can have on the design and the homeowners enjoyment. View a copy of this article as it appeared in Conservatory Magazine.